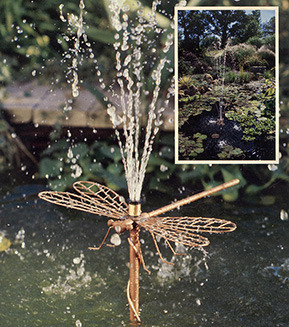 In 1988, PONDFiltration was the first to design a pressurized pond filter for The Water Gardening Industry. Gravity flow filters were being imported from Europe and then private labeled by USA companies, who did not understand filtration. PONDFiltration’s filters are the most technologically advance systems in the market. The filter naturally interrupts the nitrogen cycle of a pond, reducing the nitrates, starving out the algae in suspension. This is achieved through a microbiological process, called "ammonium oxidation". Even today, no other filter manufacture can eliminate algae in suspension naturally without the use of an Ultraviolet system. PONDFiltration guarantees the customer "no more green water". PFI utilizes three types of filtration, mechanical, biological and chemical. PONDFiltration’s filters have been private labeled by several companies. Little Giant Pump Company sold thousands of our filters at Lowe’s, Home Depot and Menards stores nationally, from 2002 to 2004. Little Giant tried to duplicate our technology and failed, losing their supply agreement with Lowe’s. PONDFiltration was also the first to design a "Pumpsock" for submersible pumps. PFI has two sizes to choose from, large PS10 or small PS "Pumpsock"
PONDFiltration designed the "Turbo-Flo" Ultraviolet System, which handles a tremendous gallon per hour flow, without restriction of water. By the physical design, it slows flow around the bulbs and a stainless steel sleeve increases radiation, before exiting. The "Turbo-Flo" is an inline system that will adapt to existing ponds, using bio-falls & skimmers for mechanical filtration. If your goal is to achieve clear, clean, and safe water in your pond, then your choice should be PONDFiltration.